When Portland, Oregon-based Keen Footwear introduced its Uneek sandal back in 2015, the outdoor industry sat up and took notice. The entire shoe is held together by a single cord that weaves its way through both the sole and a lightweight upper. It looks as unique as its offbeat construction. So, when the company searched for ways to push the Uneek brand in new directions, it knew it had to come with something as original as the shoe itself. It found exactly what it was looking for in the form of the Uneekbot, a specially developed robot capable of building custom versions of the sandal, anytime or anywhere. 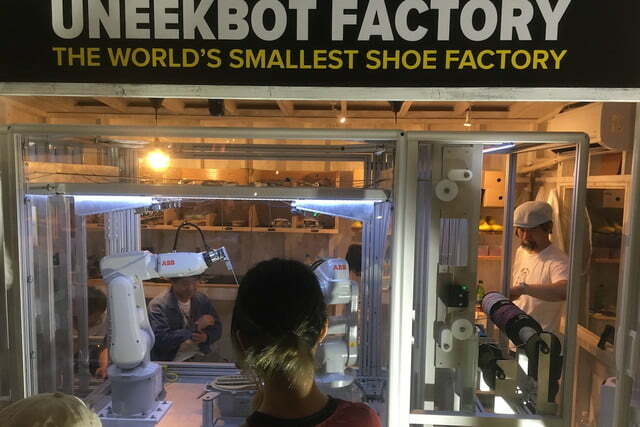 Developed in conjunction with a company called the House of Design — which specializes in making one-of-a-kind automation solutions — the Uneekbot has been dubbed “the world’s smallest shoe factory.” The system consists of two robotic arms, several custom fixtures, and a tablet which serves as the robot’s controller, allowing users to start and stop the shoemaking process or input important variables. 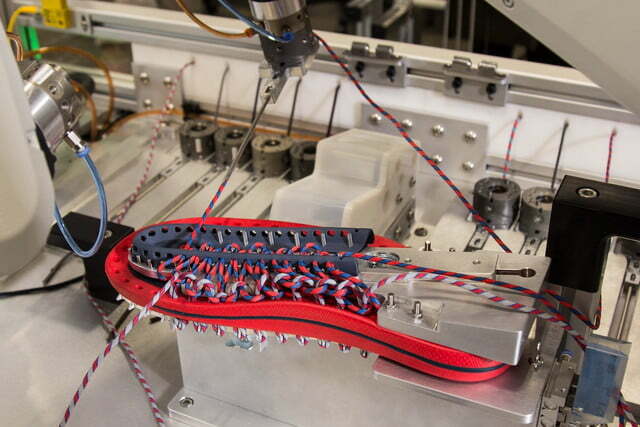 When activated, the two arms work together to create a custom pair of Uneek sandals, automatically selecting the proper colored cord before seamlessly weaving it through the shoe’s other components. 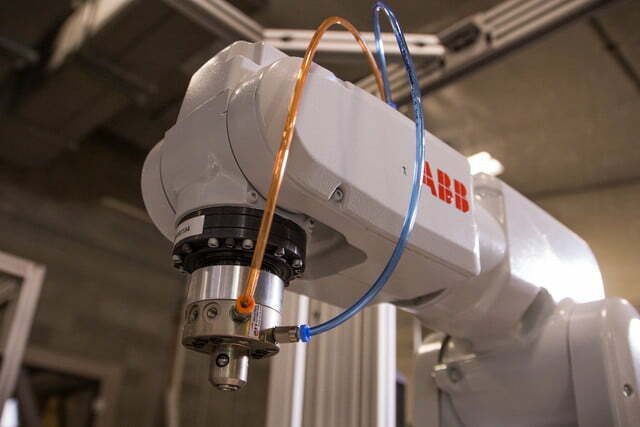 In fact, on its fastest setting, the robot completes its task in just six minutes, which is roughly half the time it takes someone to accomplish the same work by hand. 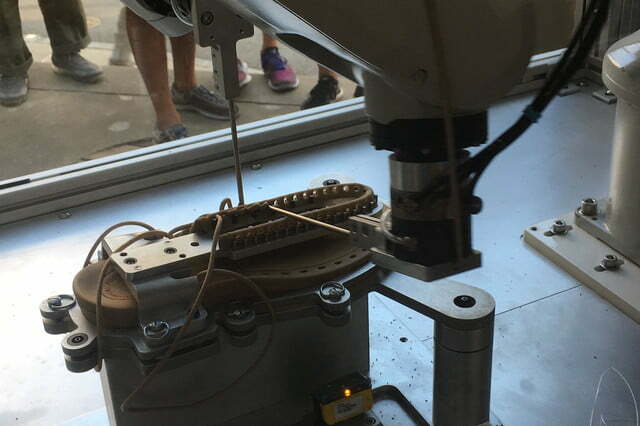 The shoe is then handed off to an actual human, who checks the Uneekbot’s work for quality control and finishes the last few steps of its construction. The result was a portable shoe factory that can go just about anywhere, allowing Keen to take the Uneek story on the road. The system first made its debut at the Outdoor Retailer gear show in Salt Lake City last August and has since traveled to sports shows in Friedrichshafen and Munich, Germany. Everyone else told me it wasn’t possible to create a robot that could do what we wanted. 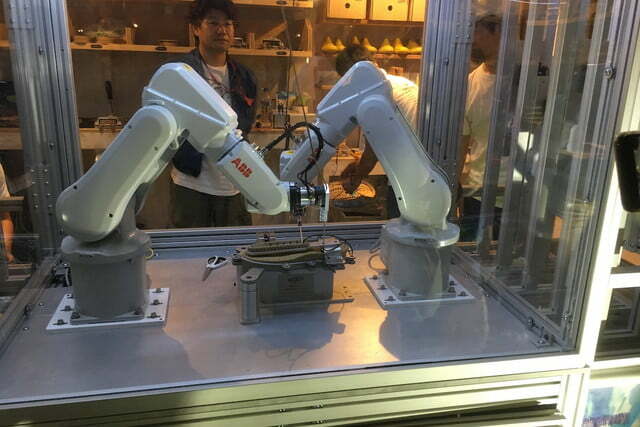 Recently, the robot appeared in Tokyo — where the Uneek shoes are in high demand — which, coupled with the Japanese obsession with robots, made the device a popular attraction for those who saw it in action. 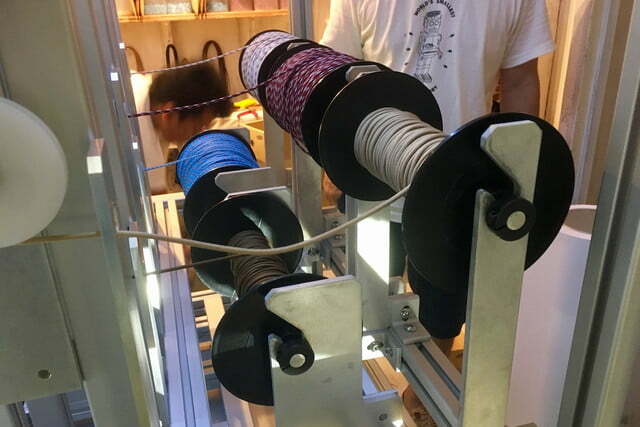 Crowds gathered around Keen’s pop-up Uneekbot Factory Store in the city’s fashionable Bank Gallery building just to watch the robot go about its work. 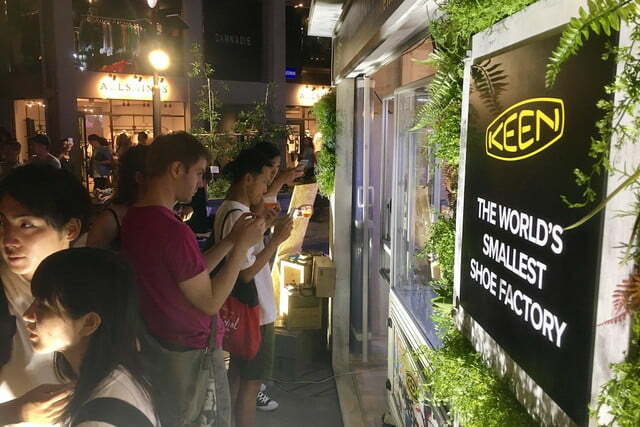 Like much of the outdoor industry, Keen’s interested in reducing its carbon footprint whenever and wherever possible. 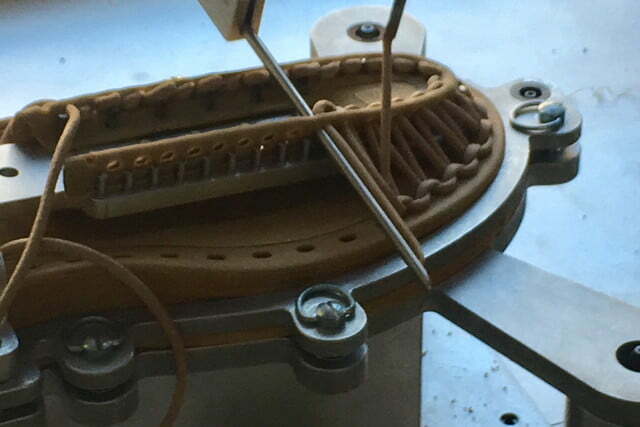 The Uneekbot helps accomplish this by eliminating excess waste and dramatically reducing the time required to create a single shoe. It also eliminates fossil fuel emissions (and costs) associated with shipping footwear to the consumer. 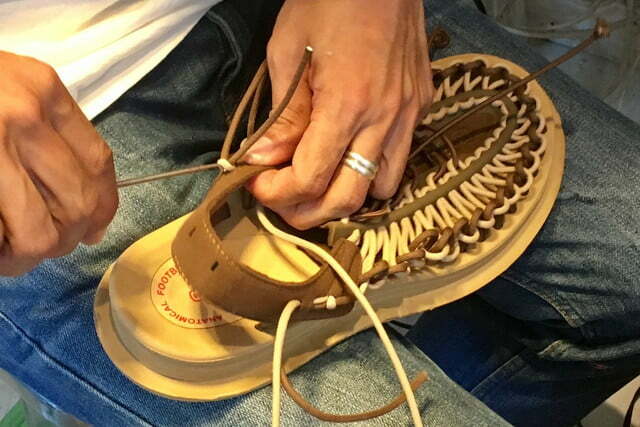 In fact, Takeda says the raw materials required to create eight shoes using the robot ship in a single shoe box. Customers simply fill out a form selecting the size and color of their shoe and in 30 minutes, they can grab them on their way home. 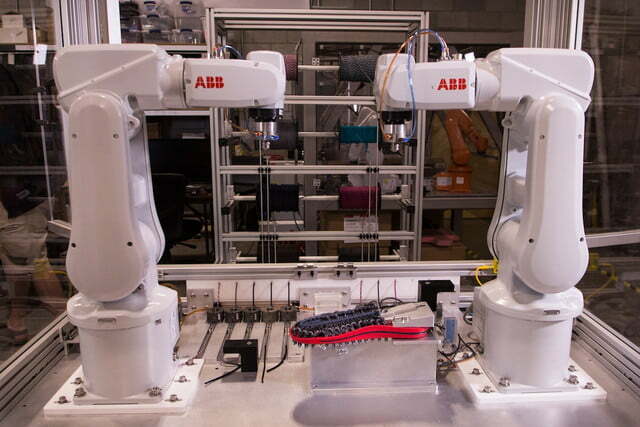 While the robot is fast and efficient at making shoes, don’t expect for it to take over Keen’s entire production line. In order to maintain current levels of output, a completely robotic workforce simply isn’t economically feasible right now. Still, the company continues to look for ways to improve that process and Uneekbot is a great proof of concept of what the future looks like. In the meantime, the little robot continues its world tour. 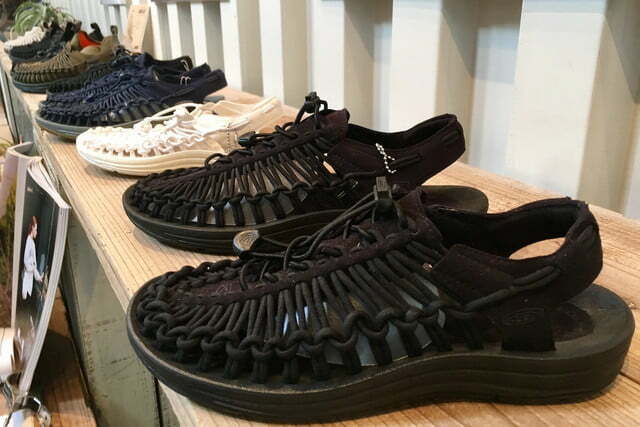 After wrapping up its stay in the Bank Gallery, it then headed to the men’s fashion outlet Beams Harajuku before proceeding on to Outdoor Retailer once again. 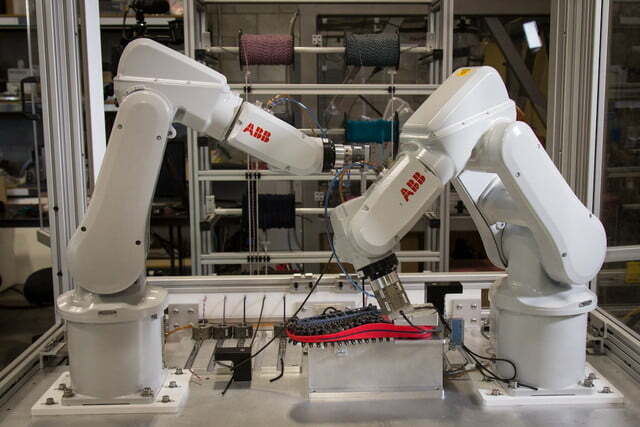 All in a day’s work for Keen and the Uneekbot, which continue to redefine what is possible for the shoe industry.